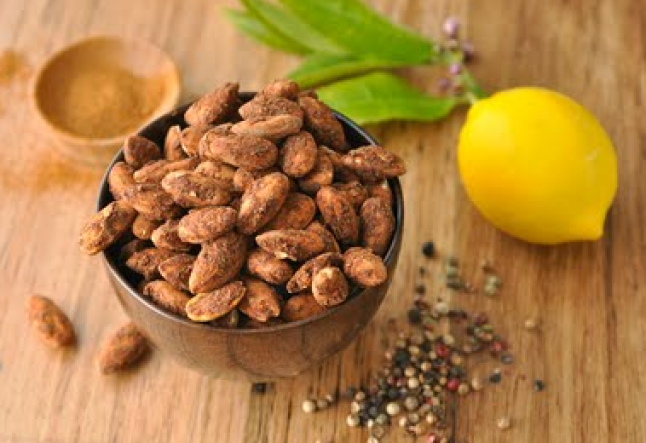 These flavored nuts are perfect served as a midday snack or an evening’s meal appetizer. Mix all your lovingly prepared ingredients into a high-speed blender (Vitamix style) and pour the blended sauce over your choice of nuts in a big mixing bowl. Mix well with a spoon or spatula, making sure all the nuts are generously covered with the sauce. Place the flavored nuts onto trays of flex sheets and place in dehydrator and dry over night. Awaken to the smell of freshly dried nuttiness. Why not pour these fun flavored nuts over your morning oats! Enjoy snacking of these smackers!